Useful properties of salmon as useful food is based largely on the unusual content of omega-3 fatty acid. Salmon – as tasty as useful. About 110 grams salmon contain 2 grams of omega-3 fatty acids – more than the average adult intake of different food for several days. Salmon is rich in other useful ingredients, vitamin E and selenium, which are important for our health. Interesting studies content of protein and amino acids in the fish show that they protect the joints, strengthen the effectiveness of insulin and control inflammation of the esophagus. Something you should know that all these nutrients are found in wild salmon and cultured salmon is a different case. Salmon is not only delicious fish, but also very healthy. Most of the benefits of salmon come from omega-3 fatty acids in it. Salmon helps the heart. Omega-3 fatty acids are found in most fish. However, scientists have found that the human body can absorb them through salmon better than by any other source. Omega-3 fatty acids are beneficial for heart health. They prevent blood clotting, erratic heartbeat and lipid profile by raising levels of good cholesterol and lowering levels of triglycerides in the blood. Salmon is also rich in vitamin B12 and niacin. Niacin helps reduce cholesterol and B12 promotes the work of the heart. Salmon brain. Salmon can reduce the risk of Alzheimer’s disease. The nutrients contained in this fish, improve brain function. Salmon against certain diseases. Salmon oil is able to reduce inflammation and pain associated with osteoporosis and arthritis. Good source of protein. Salmon is a rich source of healthy protein. Unlike most animal proteins, salmon contains no saturated fat. 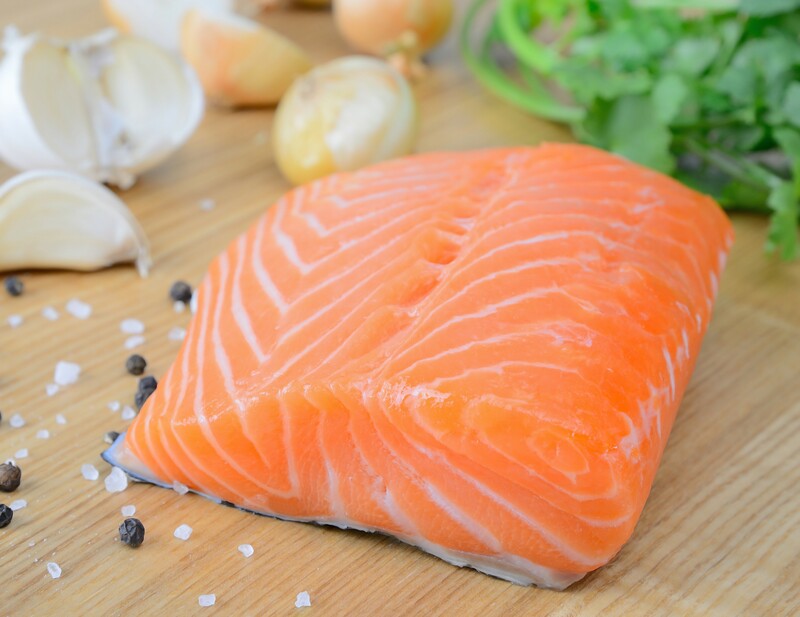 Studies on the use of fish and prevention of osteoarthritis indicate that omega-3 fatty acids, which are contained in salmon can be converted by the body into three types of compounds that interfere with the chronic inflammation. The presence of peptides in salmon can help the health of joint cartilage and other tissues and to help restore the balance of collagen and inorganic components in bone and surrounding tissues. Such peptides can bind to omega-3 particles and act inflammatory arthritis. Extremely high levels of vitamin E and selenium in salmon is a key factor in the prevention of inflammation. Much of the research shows that docosahexaenoic acid DHA is the most important fat contained in the brain. A high content of omega-3 fatty acids in salmon justifies its usefulness in brain function and its contribution to reduce the risk of problems in the brain. Salmon consumption is associated with reduced risk of mental illnesses in adults. Some studies also show that the relationship between IQ and the consumption of foods rich in omega-3 fatty acids is direct. Very interesting is the recent discovery of compounds of docosahexaenoic acid, which play an important role as an anti-inflammatory factors, particularly when produced by nerve tissue. It has been shown that vitamin D is an important factor in stimulating mental activity. Vitamin A plays an important role in reducing the risk of many cancers, including breast, prostate and stomach. Salmon contains high levels of vitamin E and selenium, which are also associated with reduced risk of certain cancers. Regular consumption of omega-3 fatty acid is particularly effective in the prevention of certain types of cancer and a cell of blood – as leukemia. It is known that fish oil is important for the improvement of vision. It helps to avoid the degeneration of the weak spots that appear in adults. In this case two portions of salmon per week are sufficient to significantly reduce the risk. 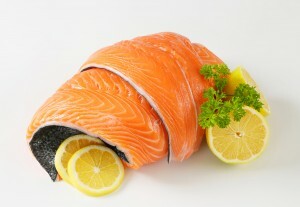 Omega-3 fatty acids in salmon are effective in the fight against chronic and dry. Xerophthalmia studies show that omega-3 fatty acids in salmon may help in preventing the chronic xerophthalmia, relieving inflammation.